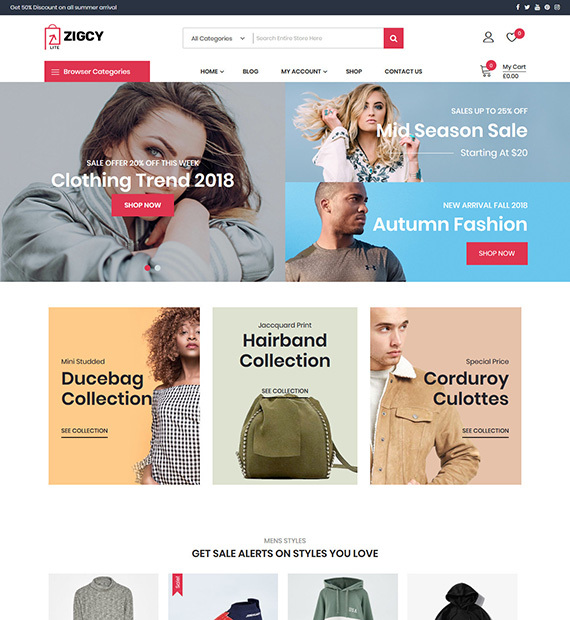 Zigcy Lite is a customizer based WooCommerce Theme built to create stunning e-commerce or online stores. This theme that comes up with deep WooCommerce integration introduces all the WooCommerce features in the most brilliant way possible. A next-generation WooCommerce Theme, Zigcy Lite is a creative and stylish WordPress theme built with an immensely configurable homepage. It comes up with 2 WooCommerce Archive layout and 4 Page layout.